This is the transcript of the talk I gave to students in Yoezerling Higher Secondary School, Paro on May 30, 2015. The content of the speech is partially edited to suit the general readers on my blog but may still be relevant to just Bhutanese audience. Good Morning. Respected Principal, teachers and dear students, thank you very much for being here this morning to listen to us. I would like to thank Media Club coordinator Madam Gyem Om for inviting us and considering us worth listening to. My Name is Passang Tshering. I am a teacher at the Royal Academy. I would like to take this opportunity to talk to this young group of people about something that’s handed to your generation as the greatest opportunity-The Social Media. But it’s opportunity only as long as you can handle it wisely. Let me first define Social Media for you. There can be many difficult definitions but if I may put it in the simplest form. What’s media or Medium? It’s the means of mass communication. Think of TV, Radio and Newspaper. These are Medium of reaching out to mass. They are formal institutions run by trained people and governed by rules and regulations. Now imagine each one of us having a newspaper of our own to write about everything we do, everything thing we like, and about people love. Imagine your own TV Channel to broadcast your family shows and your own music videos or a radio station on which you are the RJ… such mediums are called Social Media. Facebook is your personal newspaper, your personal TV Channel, your personal Magazine. Likewise Twitter, Instagram, Youtube, WeChat, Sound Cloud, Google+ and thousand others. Kuensel may be selling about 5000 copies if it gets lucky, BBS has the highest potential of 700,000 viewers, and all other Mass mediums in Bhutan have few thousand audiences. Now compare that to Facebook that has 1.44 billion active users. It’s over 2000 times bigger than Bhutan, with no borders and almost no rules. It’s your own world, it will grow everyday, and you can do whatever you wish. But remember 1.44 billion people out there can also do what ever they like. 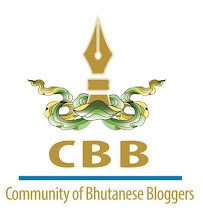 I have also co-founded a group called Writers Association of Bhutan, in which we motivate young writers. Many of our members have published their own books. We plan to help writers write and get them connected to publishers. We have nearly 20,000 members. I am also on Twitter, Instagram, YouTube, WeChat, and my personal favorite is my blog. I have a personal blog called PaSsu Diary. It’s a website in which I write stories related to family, school, society and sometime politics. People from different walks of life read my articles and among them I have found many friends. Newspapers take stories from my blog and print in their papers. I was honest and sincere in my writings but at the same time I have been polite, respectful and talked about issues more than people. I justify my allegations and sometimes when I was wrong I apologized. I didn’t attack any individual personally; I didn’t insult or humiliate individuals. Sometimes when I had to write about certain individual I didn’t write their names. But many people think being honest, sincere, critical and straightforward is same as being aggressive, arrogant, disrespectful and nasty. Actually it’s the opposite. Because of my good behaviors on all the social media platforms I have been appointed as the first Social Media Monitor during the last election. The Chief Election Commissioner personally called me to be the Social Media Monitor. For six months I had two jobs. I have been invited to many workshops to be speakers, such as SAARC Literature Fest, Mountain Echoes, Media Nomad etc. including this platform today. I have also received offers from big Hotels to be their guest and just say ‘I am here at hotel so and so’. One NGO called me to their office and gave me an iPad, Hard Drive, WiFi Station and many other devices and asked me to try them out. It’s actually a gift. I have had the honour of visiting the office of the Prime Minister, and beyond all the honour of visiting Lingkana Palace. I think I have done enough of Donkey praise but I hope you understood what I am trying to say. Social Media is a world of its own, and just like this practical world good behaviors is expected and rewarded. Now let me present to you the ugly side of Social Media. Like I told you millions of people are there in that free world. Just like in the real world there are good people and bad people; don’t worry about the good people. What type of Bad people would we find on social media- thieves, frauds, criminals, liars, bullies, rapists, murderers, and the list goes on. The biggest danger is their access to millions of innocent people right there on their screen. You can be their victim. How do your protect yourselves? First, beware of strangers. Don’t just make friends with everybody. If you don’t know the person, and has no reason why he should be your friend just don’t accept requests. If there are some nasty people who bother you all the time, remove them from your list of friends. Life is too short to waste with people who make you unhappy. Also avoid those people who are always negative, these people could influence you over time. If someone tells you that he is going to send you parcel or money, just know that he is a fraud. Many Bhutanese fell victims to this sort of international scams. They will say that they have sent you iPhone, iPad etc. and also show you receipts. But soon they will say the parcel is struck somewhere in Bangkok or Calcutta. Then you will be made to send $500 -$1000. Some people I heard have sent over Nu.2 million believing in people who promised to build hotel in our country. There are many other ways of people can cheat you, but you have to know just one important rule: if someone talks about money then that’s the clue, because no stranger will randomly send you money or diamond ring. Anonymity is another issue on Internet. Most wrong doers on social media are anonymous. They hide their real identity, use fake names and pictures to do all the wrong things. They know we can never find them. Therefore, you have to be smart enough to know that some people you are dealing with on social media, whom you don’t know personally, are fake people. Be mindful about doing anything with electronic devices in the first place. You mobile phone and laptops have many secret things you don’t know. You think you have deleted something but people can use simple software and retrieve it. And nowadays, these smart phones are connected to Cloud servers; every picture you take on your mobile automatically gets backed up on the cloud. The Cloud can be hacked or if you are not careful with your password people could sneak into all your files and pictures. These days, if you are on Facebook, you will see many of your friends posting dirty pictures. The truth is they aren't doing it. In fact they themselves don’t see the pictures. It’s some sort of infected link that hacks into your account and misuses it. Therefore, you must be suspicious about unknown links anywhere on Internet. Clicking on such links is like giving them the key to your account. Social Media is growing each day; opportunities are growing and danger is growing too. If there are things you are unsure about don’t take chances, just ask someone in school or at home. Never do something you are unsure of and never hesitate to seek help. I would like to end here. If there are some areas left out we will cover during the question answer session. Thank you. Thanks for wiping my fogged glass, making my world through the screen very clear. It was like holding a child by the neck of the gho and helping him/her blow his/her nose. It had been very informative and persuasive. Kadrinche la! Sir, this is a very relevant and educative post. You have done an excellent job out there and I am sure many students would have been benefited by your talk. There are a lot of lessons in this article we can take home. Thanks for sharing it la. Moreover, I am glad to know how you have been able to use social media responsibly and how you have been rewarded for that la. Keep enlightening us on issues like this one.